REMEMBER: Number of protons is the same as asking for atomic number! What is the mass number? (Refer to the question above). Which of the following elements are diatomic molecules at room temperature? How many electrons does magnesium, Mg, need to lose to have the same number of electrons as one of the noble gases? Mg is in group 2A so it has extra 2 valence electrons, by losing 2 losing electrons it can become stable as a noble gas. The magnesium ion formed in the previous question is isoelectronic with which noble gas? How many electrons do the group 1A metals (alkali metals) lose to be isoelectronic with a noble gas? How many electrons do the group 7A elements (halogens) gain to be isoelectronic with a noble gas? How many electrons are in a lithium atom, Li? Typically the number of electrons an atom has is equivalent to the number of protons an atom has (the exception to this rule are ions or unstable atoms but for all intensive purposes unless otherwise stated assume the atoms stability). How many electrons are in the S2- ion? How many electrons are in the calcium ion created by the calcium atom, Ca, losing 2 electrons? How many protons are in the phosphorous atom, P? Which element has 11 protons? Refer to the periodic table in the next question for this and the following questions. What is the actual average mass of 1 Li atom (in grams/atom)? Express your answer in scientific notation to 3 SIG. FIG. It forms a magic 7 (minus H because it's full of itself, but I guess most things are full of it so whatever). Write dinitrogen pentoxide using chemical symbols. 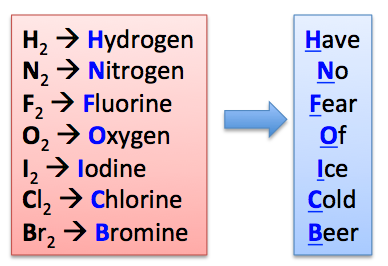 Prefixes used in naming molecular compounds (compounds made from nonmetals). The ending of the second element is dropped and replaced with "ide". Atoms can only gain or lose a few electrons to be isoelectronic with a noble gas. Isoelectronic meaning that when compared both atoms have the same number of electrons. Mg is closest to Ne, and in order to be isoelectronic it must lose 2 electrons. Let's take for example Na (sodium) for it to be isoelectronic with a noble gas (specifically Ne) it must lose one electron. a. It is a molecule. b. The magnesium is the Mg2+ ion. c. It takes 2 chloride ions to balance the charge of the magnesium ion. d. The chloride is the Cl- ion. e. It is a solid consisting of many magnesium and chloride ions. Ionic compounds are all solids at room temperature. They consist of positive and negative ions held together by strong electrostatic forces. For example, NaCl consists of positive sodium ions (Na+) attracted to negative chloride ions (Cl-). NaCl is not a molecule, but consists of many sodium and chloride ions attracted to each other in the solid. This is highly inconvenient, but if you zoom in you can see the charges on each individual atom. What is the name of KF? Ionic compounds (a metal and a nonmetal) are named using the name of the metal followed by the name of the nonmetal with its ending dropped and replaced with ide. Write the composition of calcium iodide. Sodium sulfide is Na2S. In Moodle, it is written Na2S. What is the composition of aluminum nitride? What is the composition of aluminum oxide? S is below O on the periodic table. So, like O, it gains 2 electrons to be isoelectronic with a noble gas. S like O gains 2 electrons to be isoelectronic with a noble gas. What is the mass of one molecule of carbon monoxide, CO in u, amu, or atomic mass units? Use 4 SIG. FIG. (1) It gives the relative average mass of the elements. For example, the Be atom (9.0122) is about 9 times the mass of the H atom (1.0079) and slightly less than half the mass of the F atom (18.9984). (2) It is the actual mass of the elements in atomic mass units (amu or simply u). 1 Carbon-12 (6 protons and 6 neutrons) atom is defined to be exactly 12 u. [The mass of C given in the periodic table is slightly larger because it is the average mass of all the C isotopes--same number or protons but different numbers of neutrons. Most C is carbon-12, but there is a small amount of carbon-14 (6 protons and 8 neutrons).] Examples, what are the masses of the following molecules to 4 significant figures in u? What is the mass of one mole of CO in grams? Use 4 SIG. FIG. 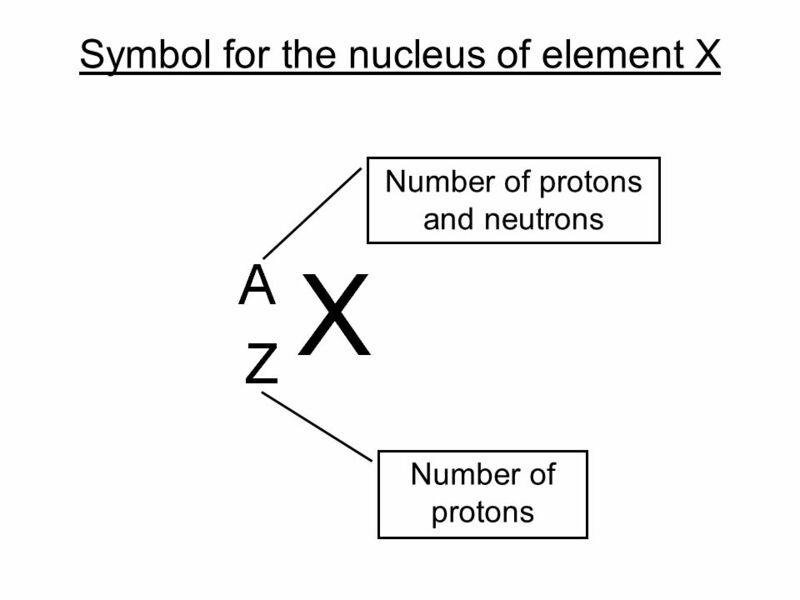 The number under the element symbol has a third meaning. This is the most common meaning. It is the mass in grams of 1 mole of the element. A mole is a number just like a dozen or a million. However, a mole is a very big number. It is 6.02 x 1023 (almost a trillion trillions or 1024). This number is called Avogadro's number. Thus, 1 mol of O atoms has a mass of 15.9994 g or 16.00 g to 4 significant figures. What is the mass of a mole (abbreviated mol) of the following molecules to 4 significant figures grams (g)? What is the mass of one mole of ethane, C2H6 in grams? What is the mass of one mole of ammonium chloride, NH4Cl, in grams? 1 carbon-12 atom is 12 u. (II) tells you that Iron has a 2+ charge. Hint, what charge do all barium ions have?